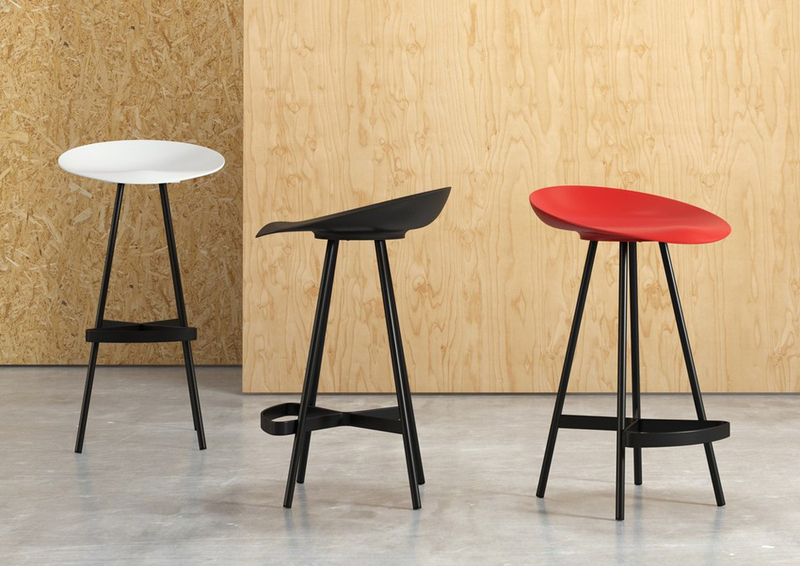 Berretto in name and in essence: this stool revisits the design of the classical cap, obtaining the shape of a particularly ergonomic seat. This seat, in satin polyurethane, has two different steel structures. 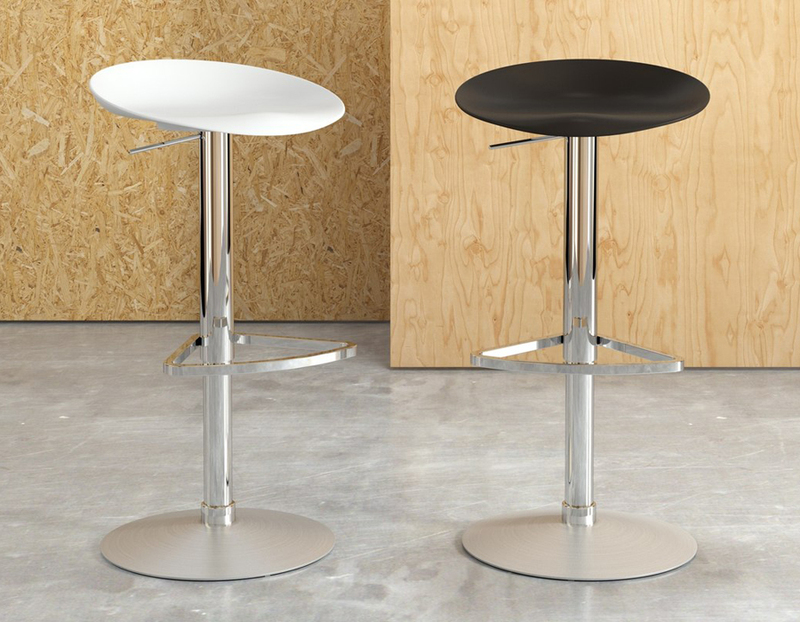 Special feature of the stool: the footrest is made with a bent sheet, that designs a continuous sign.